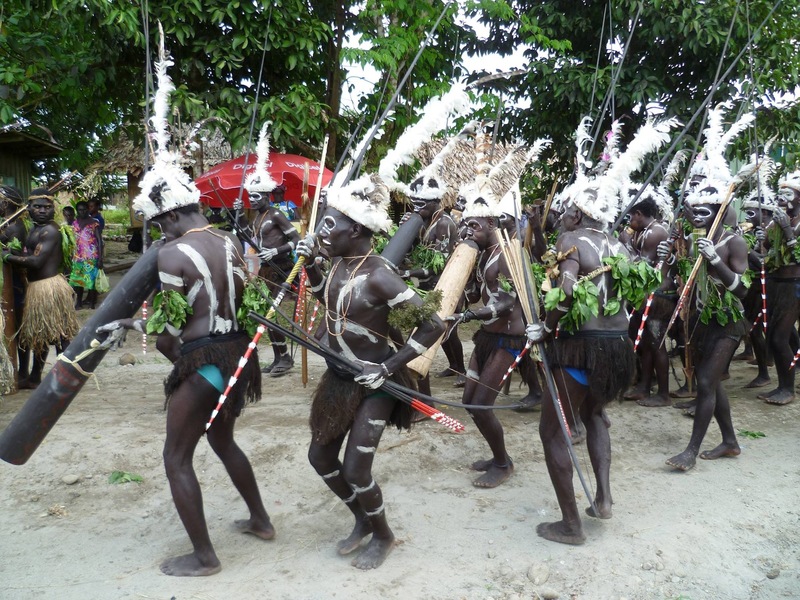 Located at the eastern-most point of the New Guinea islands, Bougainville comprises two large and many smaller islands. It has a population of approximately 200,000 and over a dozen different languages. A province of Papua New Guinea since 1975, Bougainville is now an autonomous region within the country — the result of a nine-year revolt that left tens of thousands killed, a divided and traumatised population, degraded infrastructure, and a shattered economy brought on by the collapse of its main industry, mining. 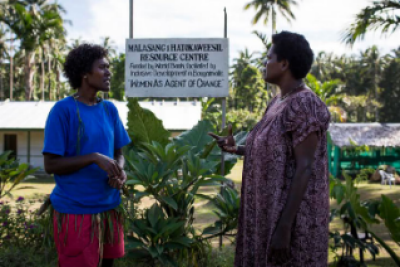 The Inclusive Development in Post-Conflict Bougainville project will benefit women and women’s organisations across the autonomous region as well as communities where projects are implemented and the individuals and agencies who are trained under the project. Building Capacity for Inclusive Community Development; training women’s organisations and civil society organisations to support the involvement of women in community development. Training is provided for staff in the government, district and sub-district levels. Small Grants for Inclusive Community Development; women’s groups are invited to apply the concepts and skills they have learned from training directly to the design and implementation of community-based projects through the availability of small grants. Project Management and Knowledge Sharing. Through component 1, training has been delivered to 450 participants, exceeding the goal of 400 in the implementation plan. Over two thirds of the participants have been women, exceeding the target of about 40%. There were 51 participants from the Public Service which exceeds the goal of 46 as well as 190 participants from CSOs which exceeded the goal of 152. 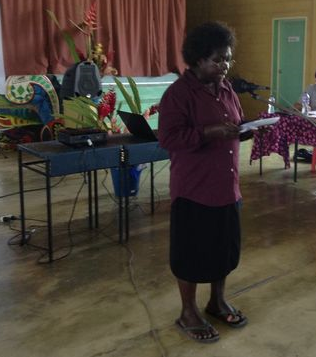 Through component 2, small grants have been awarded to 41 women’s groups, including at least one project in each of Bougainville’s 13 districts. People benefitting from completed grant projects are estimated at over 48,000, nearly 25% of the population. An Independent Monitoring Group concluded that public goods from the project are reaching communities with overall sound management of funds and that women’s roles are being strengthened through their direct management, ownership and leadership in the whole process. With the project currently set to close in March 2015, plans are underway to secure additional financing to extend the project to March 2018. Additional financing would support the provision of two more rounds of small grants to women’s groups, one per round for each of the 41 Community Governments. Training would continue to build the capacity of women’s groups while also engaging District officials and Community Government leaders more actively in development planning monitoring and implementation support. 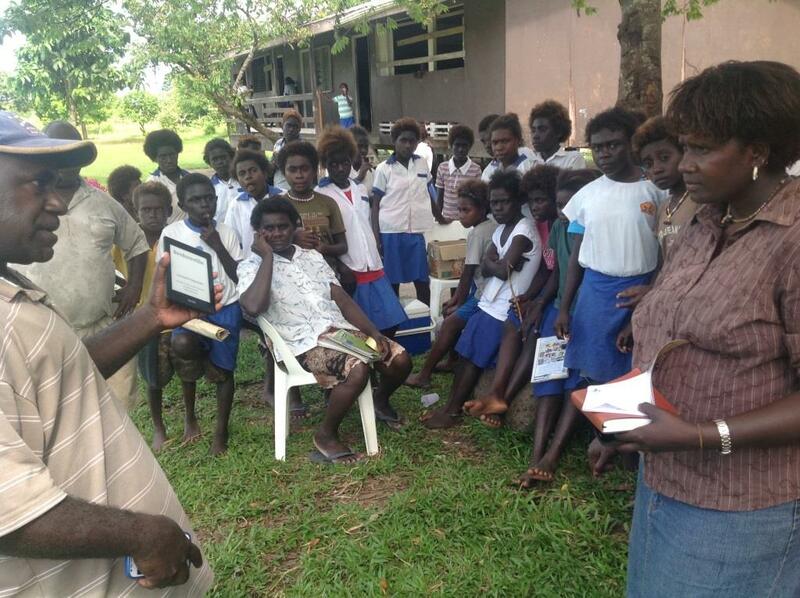 The current government’s free education policy has seen increase in the number enrolments at schools around Central Bougainville. Numbers of schools are also on the increase and this means that more money must continue to put into education every year. Bougainville has missed out on education during the crisis and we have to bridge the gap created when children could not go to school during the troubled period. What we need is a broader based economy instead of just relying on extractive industries that may run out one day. 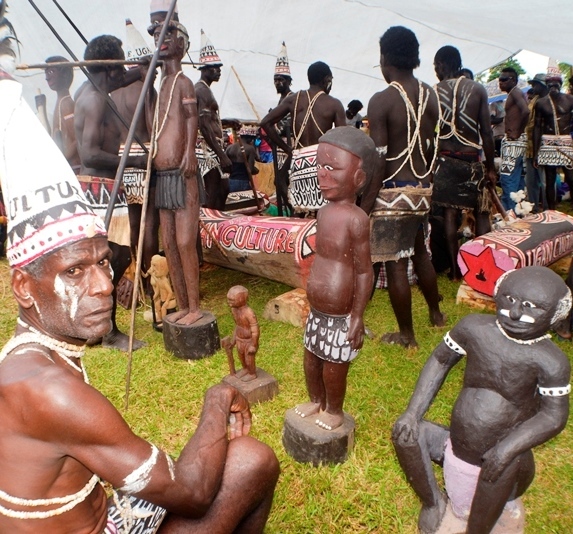 One of the biggest assets Bougainville has is its people who are creative and innovative. This is why there must be emphasis in putting a lot of money into education. 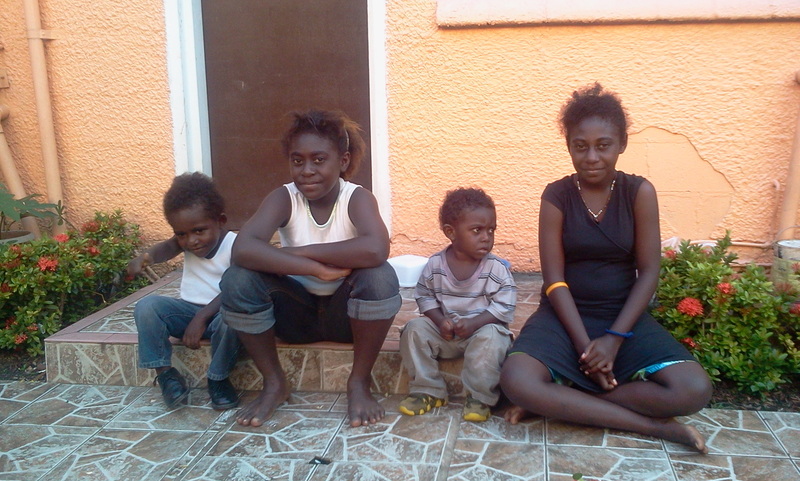 This year 2014 has been a very progressive year for Central Bougainville. The region started the year on a positive note with the Prime Minister of Papua New Guinea Peter O’Neill visiting all three regions of Bougainville including Central. During his visit he made a commitment to the people of Bougainville to fund high impact projects, several of which are in Central Bougainville. These are the water and sanitation restoration for Arawa Town, the Aropa Airport re-opening and the other major project is of course the sealing of Bougainville Coastal Trunk from Buka to Buin. This is a clear indication of commitment that the National Government with the support our four Bougainville MPs has a strong desire to see the Autonomous Region of Bougainville prosper in the coming years. We have come a long way since the peace agreement was signed and there is a lot to be done as yet for Bougainville to achieve what was agreed to in the peace process. 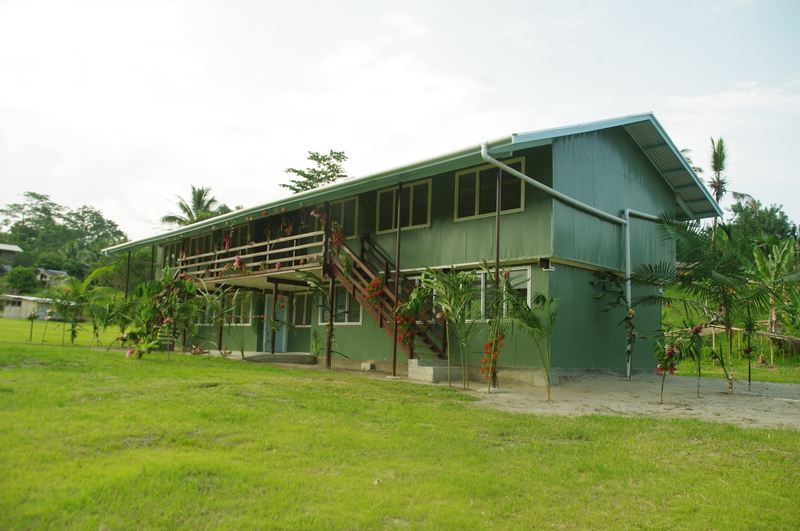 In Central Bougainville we have devoted a lot of time and money in improving education by providing more classrooms to accommodate ever increasing number enrolments in schools in the bid to bridge the gap left by the Bougainville crisis. Education is one of the priority sectors that the government is putting money into along with Health, Infrastructure Development, Law and Order and Business Development. Health centers and aid-posts are also receiving funds from my electoral office. The police in Arawa have benefited from a vehicle allocation from the office of Member for Central as part of his community efforts to enhance the law and order sector. 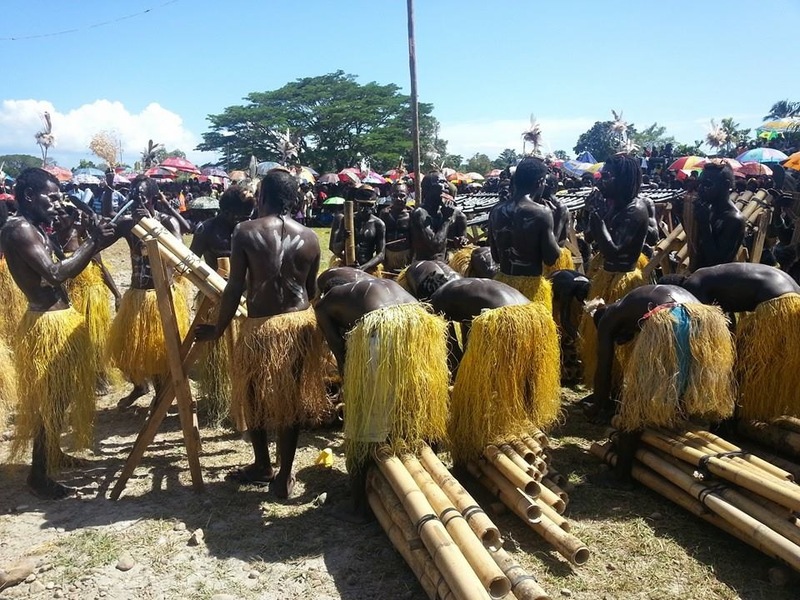 Funding has also been made available to the local Business Association as a form of assistance to grow small businesses in Central Bougainville. The government has already rolled out a rural communications project. You many have noticed new towers set up in areas that were not formerly serviced by mobile phone network. By the end of 2015 the government hopes that Bougainville will have more than 50% mobile network coverage that will include data, Internet and telephony. By 2016 Bougainville should have 100% mobile network coverage including remote and rural locations, which are not service by roads. The main aim of the Rural Communications Project is to provide access to telecommunications and other ICT services including TV, internet, FM Radio and Data storage and transmission to rural and remote locations that lack these services. The government has also established the “integrated government information system” or IGIS for short. This is the forerunner of e-government for Papua New Guinea. Under this ICT infrastructure all government departments and divisions will be interlinked through a computer network, which also has a data bank. This will prevent duplication and enable data and information sharing with ease. Information can be stored at central location where those who need it and/or if they require it. The Rural Communication Project roll out will establish communication network that will become integrated into IGIS and link up all local level governments with the main government network and data center. This will mean that leaders will have to be more transparent in their work because the people will be able to monitor their performance online through IGIS. Papua New Guinea is heavily reliant on logging, minerals, oil and gas for its revenue generation. These industries while they may bring economic boom to a country do have large problems associated with them and for one thing they are non-renewable, and finite and therefore unsustainable. Central Bougainville has had its taste of mining activity during the 70s and 80s. 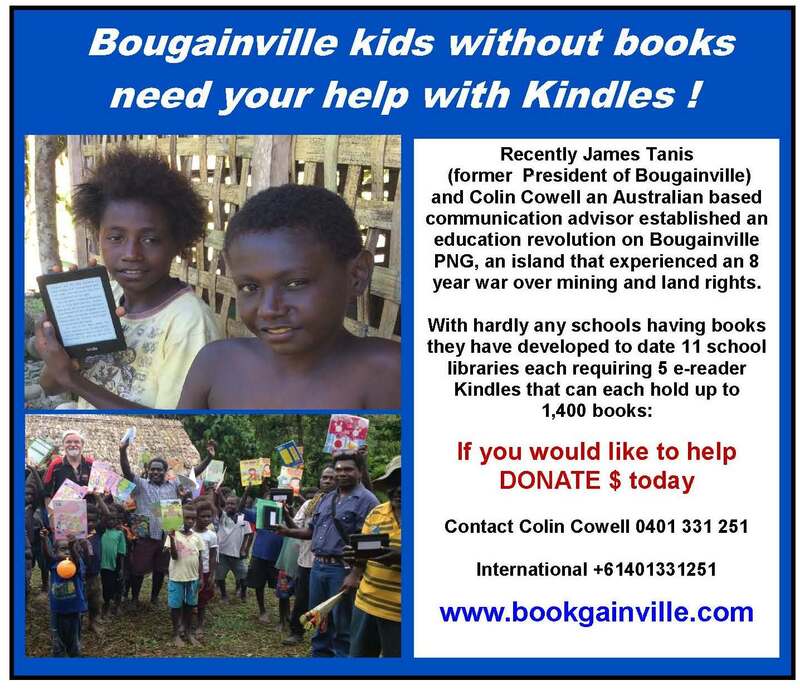 In another first for Central Bougainville and in fact Papua New Guinea,James Tanis (former Bougainville President) has established Book-Gain-Ville E reader Revolution in a number of schools in Central Bougainville including Nariana, St. Judes Pok Pok Island, Dareenai Kavearonau and Piruana . 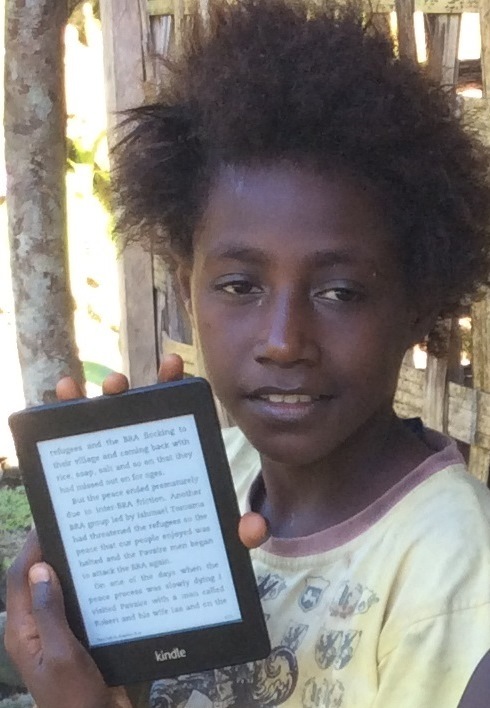 It was launched as an initiative to improve literacy throughout Bougainville. As part of its continuing commitment the National Government development policy covers five development sectors, which are in, line with its Medium Term Development Plan (MTDP). These are also applicable to Bougainville. These sectors are Health, Education, Infrastructure, Law and Order and Small Business. 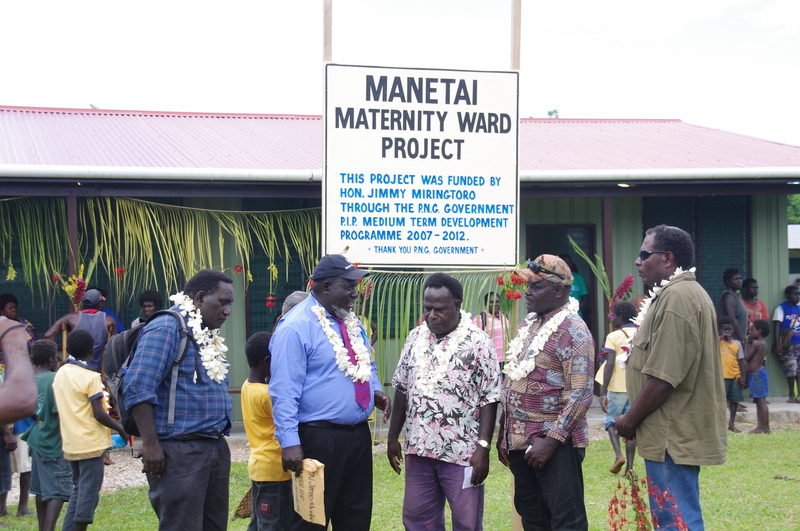 In line with this plan Bougainville MPs have funded a number of health facilities. In Central this includes Manetai and Wakunai Health Centres and a number of village level aid posts in the rural communities. In the health sector, the office of MP for in Central has also funded ambulances to all major health centres in Central Bougainville. More money has been spent on building classrooms and other school infrastructure to cater for the increase in the number of enrolments over the years. With regard to infrastructure, considerable amount of money is being used on feeder road maintenance including, for the first time a new road into remote and densely populated area in Paruparu previously inaccessible by road. A considerable level of funds has also allocated to restoration of Aropa Airport, which is about to be opened soon. PNG Power also received funding to provide power to Arawa town, Kieta port and to the new Kieta Distict entre in Toniva. Up to K1million has been committed to the Central Bougainville Business Association to assist small business in the region. Lot of work has been done to provide much needed infrastructure such as roads, schools, and of course the soon be reopened Aropa Airport. Services such as health and education continue to more draw more funds from the government through my electoral office and the treasury. A lot more needs to be done to improve current services and to build more roads and schools. The government is ready to help out in anyway it can. However, there are certain areas where the community can contribute to the development process. For example, in order for feeder roads to last longer, drains need to kept clear of debris and grass has to be cut along the roadside. A little preventive maintenance can make a lot of difference. Same goes for schools. Parents and community must devote sometime to do maintenance work, cleaning and grass-cutting in the school areas. The community must help to look after what the government has provided for them. The government cannot be expected to do everything. In order for us to move ahead it requires joint effort by all. The report reflects the voices of people living in the vicinity of the Panguna Mine, regarding the proposed re-opening of the mine by Rio Tinto subsidiary Bougainville Copper Ltd. Closed in 1989 by local communities devastated by the damage it had caused their environment and social structures, the mine’s closure was followed by a brutal ten-year civil war during which more than 10,000 people were estimated to have died. ‘The people from the villages in the Panguna Region are those who have been most affected by the mine, and who will be most affected in the future should it reopen. It is vital that their insights be more deeply understood and considered by all of the parties involved,’ commented Brynnie Goodwill, CEO of Jubilee Australia. Sixty-five people individually and one group of seventeen people, from villages in the vicinity of the mine, were interviewed regarding their feelings about the mine, the war that followed its closure, its potential re-opening and issues that still need addressing. ‘Huge number of abuses are still buried inside people’s hearts,’ said one villager from the Panguna region. (Report, p39). People interviewed were also asked about how they saw development of their communities for the future. Concerns were raised that pressure to re-open the mine from the Australian and Papua New Guinea Governments, with the Autonomous Bougainville Government, have been linked to the long-sought after independence of Bougainville. An almost unanimous view from those interviewed was that they did not want the re-opening of the mine to be linked to independence of Bougainville, but rather independence to occur first, and for Bougainvilleans to then determine their options for going forward. The report documents significant concerns about land being held for future generations, and an interest in exploring alternatives to large-scale mining to support an independent Bougainville. 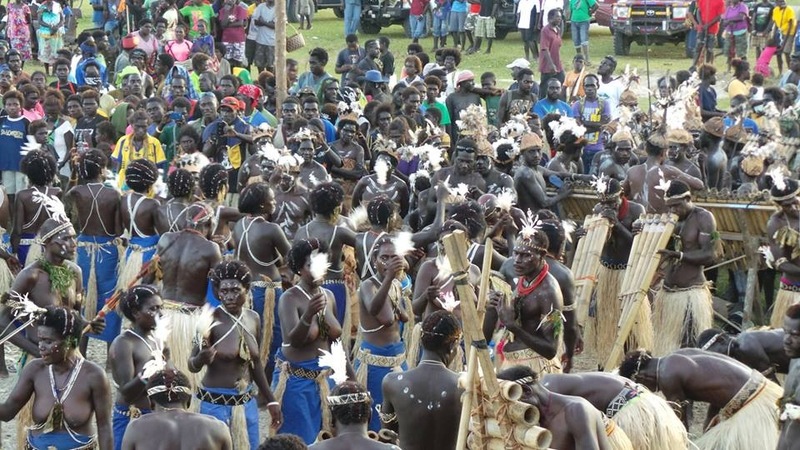 ‘While the report focuses on perspectives held by villagers in Panguna and the surrounding communities, these same views are shared by many Bougainvilleans across the island,’ said a member from the north of Bougainville attending the event. A survey of Bougainville villagers has revealed strong opposition to the proposed reopening of the mine which was at the centre of the island’s decade-long civil war. Media reports had suggested there was support for the Panguna copper and gold mine as a source of national revenue, with a referendum looming on the island’s independence from Papua New Guinea. The mine has been closed since 1989. The Jubilee Australia research foundation conducted the survey in 10 villages or hamlets around the Panguna mine at the end of 2013, and found “near universal” opposition to the reopening, as well as unhappiness and mistrust of the consultation process. The mine – majority owned by Rio Tinto’s Bougainville Copper Limited (BCL) – has been central to Bougainville’s economy since the 1970s, but dissatisfaction with the way it was run and its environmental and social effects escalated into a civil war between 1988 and 1998. It’s estimated as many as 15,000 people died by the time of the 2001 peace agreement, which included a deferred referendum for full independence, scheduled to occur between 2015 and 2020. 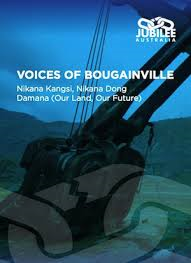 The Jubilee report, Voices of Bougainville, found continued resentment and mistrust of the PNG defence forces, Australia and BCL because of their roles in the conflict, and that this has led to mistrust of discussions around reopening the mine. The report found a “sizable majority” of respondents felt that lasting peace had not been restored, despite an end to the violence. Smaller groups felt the peace process was an initiative to serve the needs of Australia or Papua New Guinea. Respondents were also “deeply critical” of recent consultations about the mine, which they said had not fully included affected communities and certain demographics such as young people, women and elders. “Others felt that there had been misleading statements in the media about the enthusiasm of Panguna residents for the mine reopening, and about what the reopening would mean,” the report said. “We’ve been getting such a strong message from the media, but hearing things on the ground was quite different,” Jubilee’s chairman, Luke Fletcher, told Guardian Australia. Fletcher conceded there was always the chance of self-censorship among respondents, and that the surveyed villages still had some connection to the Bougainville Revolutionary Army, but said the research was strong. Fletcher suggested particular groups were pushing for an early referendum and this was likely to be linked to discussions around reopening the mine. “Our feeling is that this urgency is one of the reasons why there is some pressure being placed on landowners to make a decision quickly,” Fletcher said. 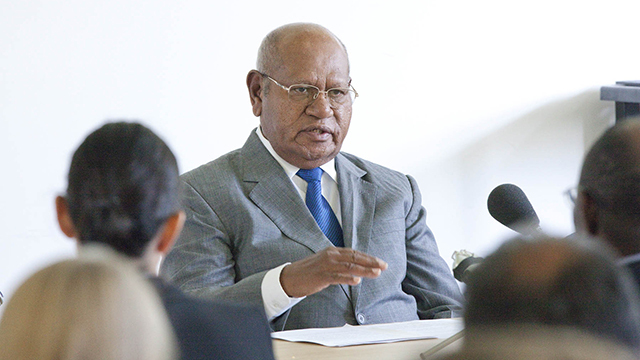 “Once Bougainville gets its independence, Bougainvillians might have more of a say in their future,” he said. 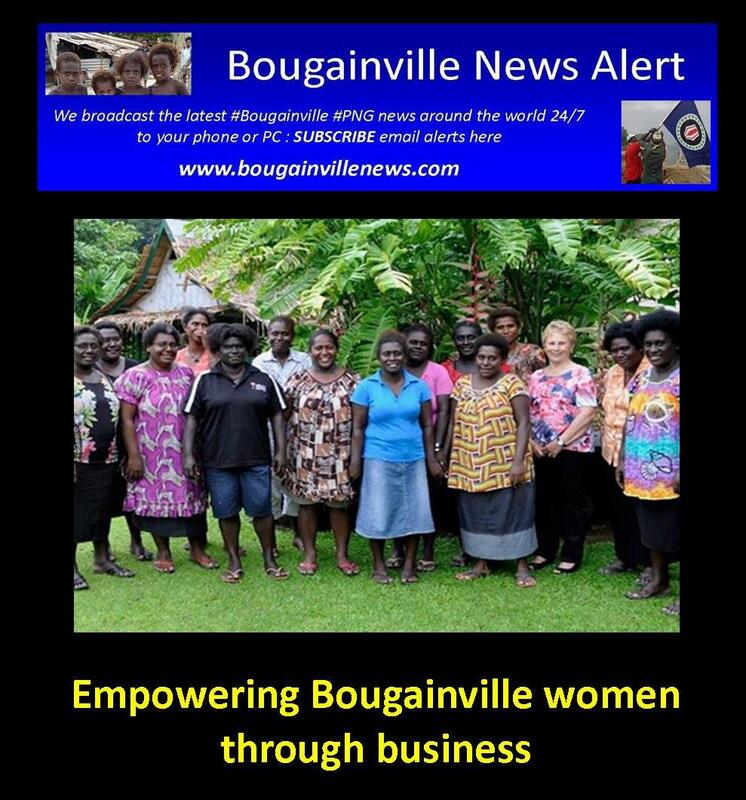 The Greens leader, Christine Milne, Labor MP Melissa Parke and independent MP Cathy McGowan will launch the Voices of Bougainville report in parliament next month. Milne said it was “increasingly apparent” that Australian mining companies were not consulting local communities, that they were “making deals” with governments and that as a result local people had suffered. 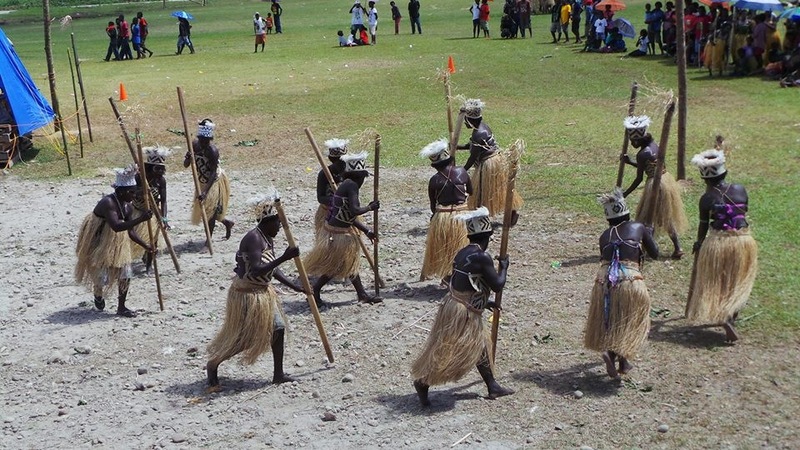 “The civil war in Bougainville should really remain very front and centre in people’s minds, because there is no doubt that the mine was front and centre to that whole war erupting,” she told Guardian Australia. In August, Rio Tinto announced it would be reviewing its options in BCL after the Bougainville parliament passed a bill stripping the company of seven exploration licenses and its special mining lease for Panguna. BCL chairman Peter Taylor told the ABC the legislation was confusing and described it as a setback. Bougainville president John Momis said the legislation gave BCL the first right of refusal on the mining licence, but no more. “If we didn’t [cancel the licences], the landowners and the ex-combatants wouldn’t have allowed BCL to come back,” Momis told ABC.